Tooth resorption in cats, also known as resorptive lesions, is a fairly common dental disease affecting up to 60 percent of all adult cats. Cats instinctively hide their pain as a survival method, so it can be difficult to detect whether your cat is experiencing pain from resorptive lesions that have developed. 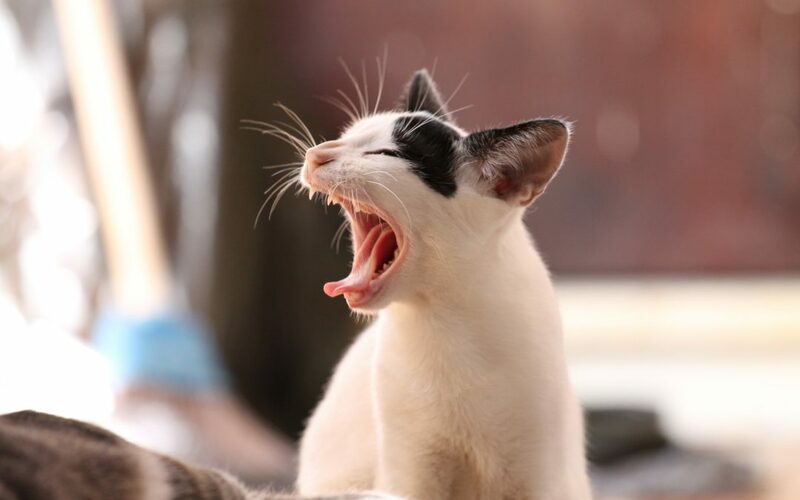 As your local veterinarians in Gilbert, AZ., at East Valley Animal Hospital we’d like to help you keep your feline’s oral health in tip-top shape by defining tooth resorption in cats, noting some of its signs and symptoms, and discussing how it can be treated. What Causes Tooth Resorption in Cats? Much like us humans, your cat’s teeth are composed of layers. The deepest layer is the pulp containing blood vessels, nerve fibers, and immune cells. The pulp is then surrounded by tubules, called dentin, which also contain nerve fibers and make up the majority of the tooth. Cementum is a layer that covers the dentin and helps anchor the tooth to its bony socket. And the final, outer layer is the enamel, which is the hardest substance in a cat’s body and serves as the overall protective barrier of the tooth. The exact cause of tooth resorption in cats is unknown. While studies have been performed, it cannot be linked directly to diet, vaccines, or other diseases. Much like cavities, as resorptive lesions develop, the tooth enamel begins to erode, exposing dentin. Because there are nerve fibers in dentin, as it starts deteriorating the lesions result in large amounts of pain for your furry friend. The premolars of the lower jaw are most commonly affected, however, any tooth can be impacted by tooth resorption. What are the Clinical Signs of Tooth Resorption in Cats? However, because these signs can signify a whole host of other medical concerns or conditions, the best way of determining whether your furry friend is struggling with the effects of resorptive lesions is to bring her in for a full oral checkup. We recommend such exams once a year to ensure the oral health of your feline. Is There a Treatment for Tooth Resorption in Cats? Treatment for resorptive lesions will depend on the degree of damage done to the tooth. If the condition is caught early, some lesions may be treated in a restorative fashion, much like a filling for a cavity in humans. However, while a filling for a mild lesion will reduce your cat’s discomfort, it will not eradicate the problem, and the tooth will most likely need to be extracted later down the road. For this reason, your vet may suggest extracting the tooth right away, even in mild cases of resorptive lesions. In severe cases, extraction of the affected tooth will be necessary. At East Valley Animal Hospital, we pride ourselves on having respectful, caring interactions with our clients and their pets. If you live in Gilbert, Chandler, or Mesa and have further questions about your feline’s oral health or would like to schedule an oral exam, give us a call today: 480-568-2462.